Los Angeles Chargers rookie wide receiver Mike Williams may return in October. 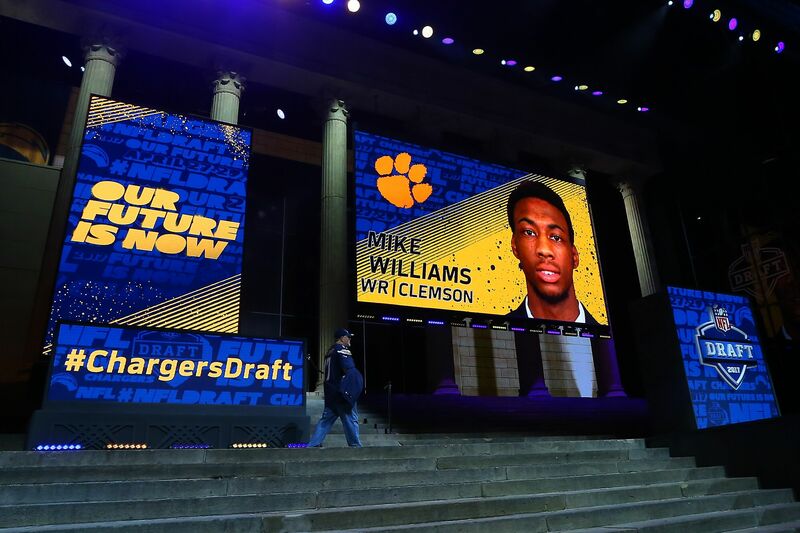 Good news for the Los Angeles Chargers as their first round pick Mike Williams may return and make his debut in October according to Ian Rapoport. Back in July, it was reported Williams may miss his entire rookie season, but Williams would later contradict that. “I’m good. Everything good. The back situation. That was some false information being released. I don’t know who released it but everything is good,” he told Lakisha Jackson of NFL.com. The injury bug has struck the LA Chargers hard so far this season for rookies, as their second round pick Forrest Lamp tore his ACL in practice on Aug. 3 and will miss the entire 2017 season. Fans were worried when the report of Williams came out, as it would be another top wide receiver out for the season, something they have dealt with wider receiver Keenan Allen, as he has had four season ending injuries out of the last five seasons. The team has used rest and rehab to help fix the herniated disc, rather than surgery and it could save the rookie his first season in the league. There hasn’t been a decision on if Williams will start the season on the PUP list, forcing him to miss the first seven games of the season, and the team believes he could be back before week seven. Williams is a rookie out of Clemson, where he made 177 catches for 2,727 yards, and had 21 touchdowns in his four years at the program. The Chargers looked at him as some help if Allen goes down again, and to give them some depth at the position as the next best receiver is Travis Benjamin.